The day is finally here! Valiant Comics has been teasing their new "Secret Weapons" series for a few months now, but the wait is over. This was an interesting read. Similar to what I said in my X-O Manowar #1 Review, this is a series I was never familiar with in the past iterations, but I'm already pulled in with what I'm reading so far. We start off with a mysterious man talking about ancient people who would bathe in the blood of their enemies to gain their powers. We see...something...in a chamber that is draining fluid away. It has apparently taken powers from someone. Being early in the series, we're meeting the characters. Several are living in a seemingly abandoned place called "The Willows" which we find housed some "failures" who had powers that weren't worth using. We meet Amanda McKee, Livewire, who is able to manipulate technology, who seeks these people out in order to help them. There is a lot more to learn in the coming issues, and I can't wait. This is a well written, beautifully drawn comic. The writer (Eric Heisserer, screenwriter for one of my favorite movies of all time, Arrival) gives just enough information, without spoiling anything. He's got a knack for writing realistic dialogue that flows smoothly. All-in-all, I highly recommend this series. Now is your chance to get on board from the beginning. 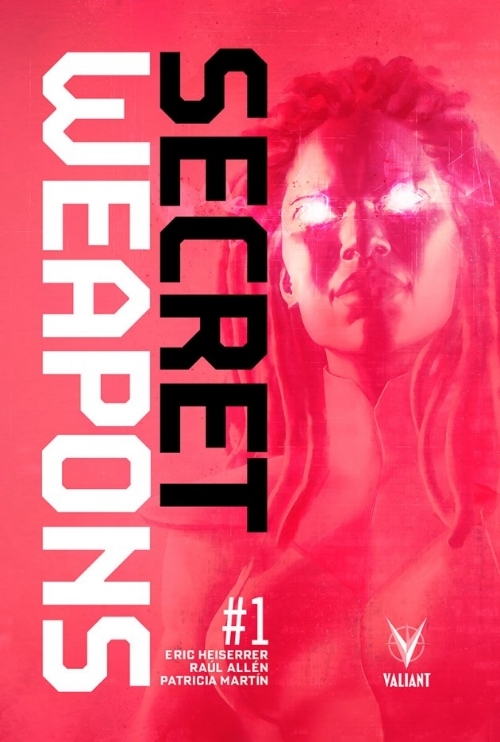 Go grab a copy of "Secret Weapons #1" and don't miss out on the ride!